Sales of products from UKM and IKM under OK OCE program in the Jakarta Fair, Kemayoran, Central Jakarta is quite fantastic.
" The total value of its sales is reaching Rp 615,102,400"
During 40 days, the value of UKM and IKM product sales transactions reached more than Rp 615 million. 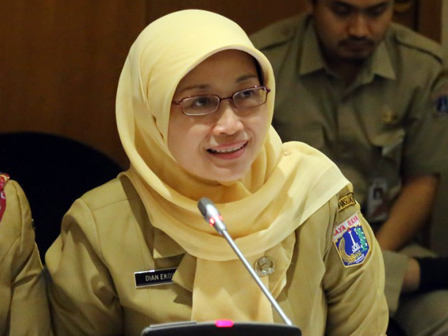 "The total value of its sales is reaching Rp 615,102,400," expressed Dian Ekowati, Head of Jakarta Communication, Informatic, and Statistic Dept., Tuesday (7/3). He explained, such total sales are from 21,303 transactions every day in the booth 53 belongs to UKM and IKM in Jakarta Pavilion. She uttered the number of residents' visits has increased threefold or 300, 370 people. It is higher than last year that only reached 129,797 people. "We are very grateful. Moreover, the event also gets the award as the best booth of local government and state-owned companies," he said.